Eastern Shipbuilding Group hosted their 16th Annual Freshwater Classic this past weekend at Gaskin Park in Wewahitchka. The charity fishing tournament raises money each year to give back to our community's most vulnerable. 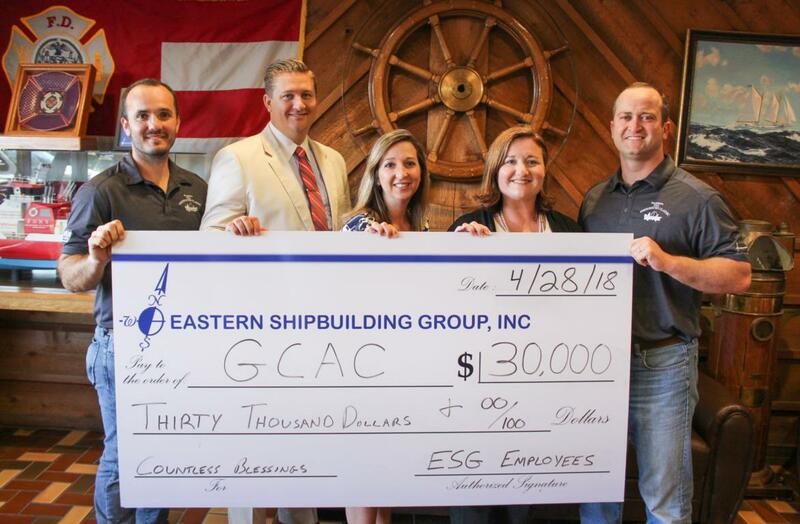 The hard working men and women of Eastern Shipbuilding Group, and their amazing community partners, raised $30,000 for the Gulf Coast Children's Advocacy Center which serves: Bay, Gulf, Calhoun, Jackson, Washington, & Holmes Counties. Made possible with help from the company’s loyal suppliers and subcontractors, their generosity has supported the efforts to organize and successfully produce this event for the past 16 years. The Gulf Coast Children's Advocacy Center and its staff thank them for this generous donation. With the number of children and adults affected by abuse and violence growing each year, this generous donation will be carefully utilized to best meet the needs of our community. Since the Gulf Coast Children’s Advocacy Center opened in March 2000, more than 15,000 children have been provided the comfort and care needed in time of crisis through community donations such as this one.